Cushing’s disease or hyperadrenocorticism is the what happens when the body produces too many adrenal hormones, corticosteroids. It is very complicated disease with wide variations. There are basically two causes for Cushing’s Disease; an adrenal gland tumor or a pituitary gland tumor. This does not mean cancer, it just causes the adrenal gland to produce too many corticosteroids. The symptoms for Cushing’s may include; increased urination and drinking hair loss, a pot belly, nervous disorders, panting, and an inability to overcome infections. 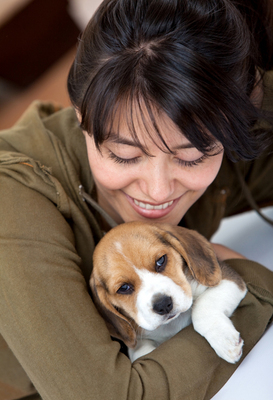 Cushing’s affects a few breeds with more frequency; bichons, beagles, and other small dogs, though any breed may be affected. The diagnosis can be confirmed with different blood tests. After the blood tests, the dog should be ultrasounded to determine where the tumor is located and have x-rays taken to make sure there is not another underlying cause. The treatment for Cushing’s is surgery or drug therapy. This disease is not easy to treat and can be very frustrating for owners. The dog must be monitored very closely as the dog can become Addisonian, which is the opposite of Cushing’s, where the dog loses the ability to make enough corticosteroids. The treatment does not cure the disease; it controls the disease and makes the quality of life better for both the dog and the owner.